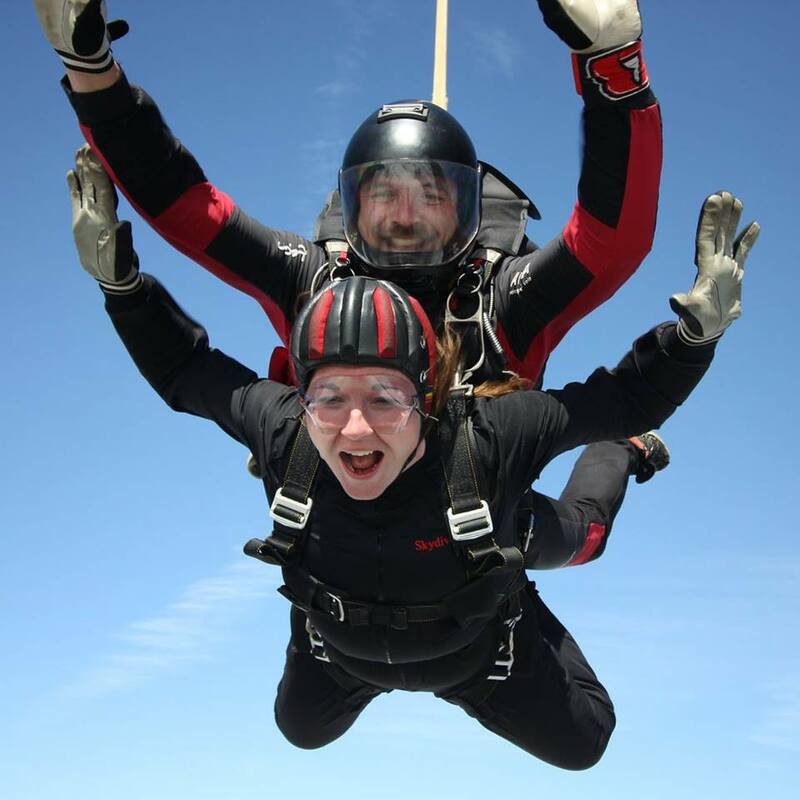 Dr Jess Heron, APP Director, said: "We made it. I’m alive, all limbs in tact! 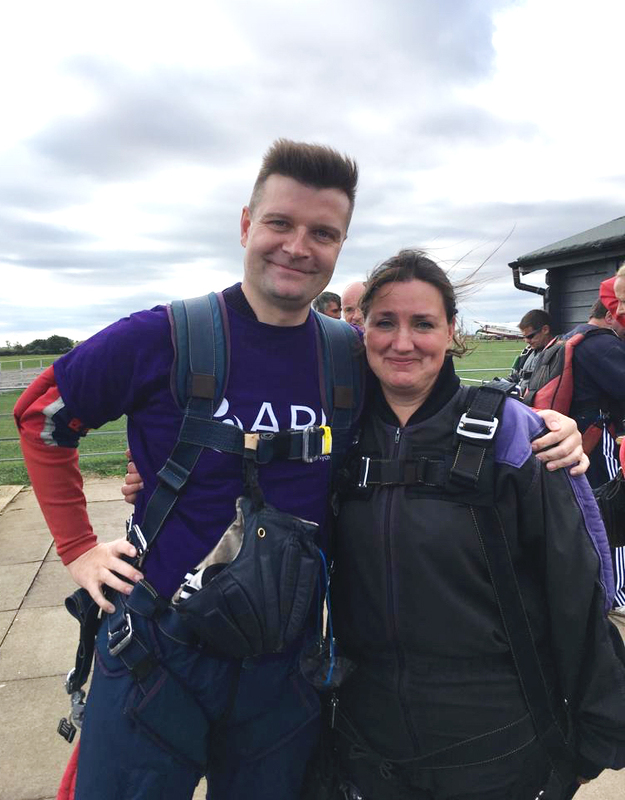 Thank you so much to all who sponsored us. Thrilled and amazed with the total. 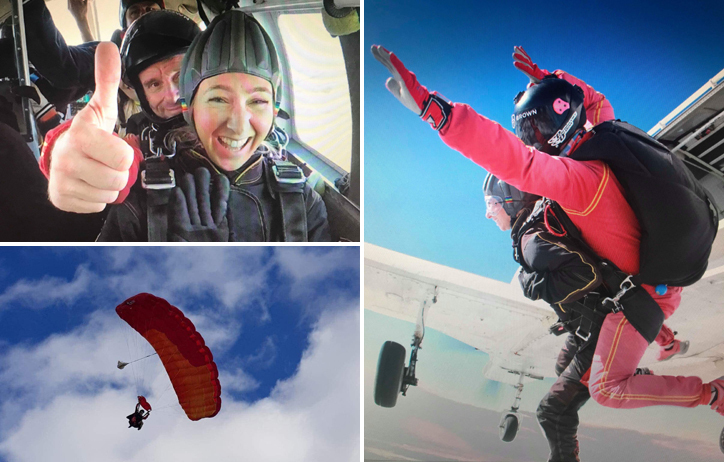 Thank you also to my fellow jumpers (I'm thinking something more sedate next time... sponsored tea-drinkathon, adult colouring...)"
Jess parachuting down and coming safely into land! 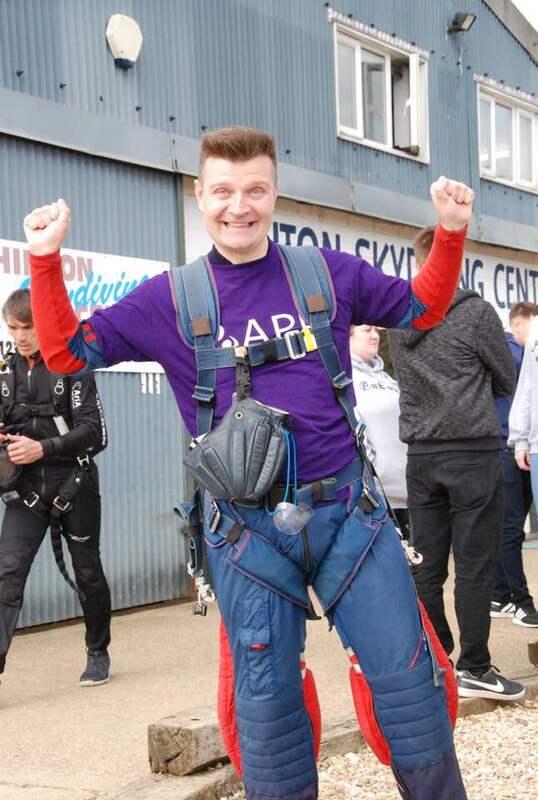 Dr Giles Berrisford 'ready to jump'! 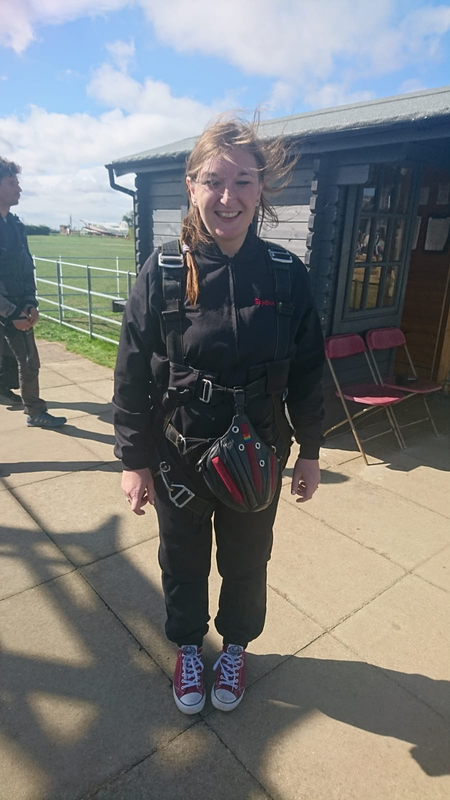 Hannah Bissett, APP Peer Support Co-ordinator, said: "Thanks for all your likes, sponsorship & support / interest / gobsmacked-reactions after my skydive for APP - we did it!! It's really scary, but absolutely amazingly awesome. 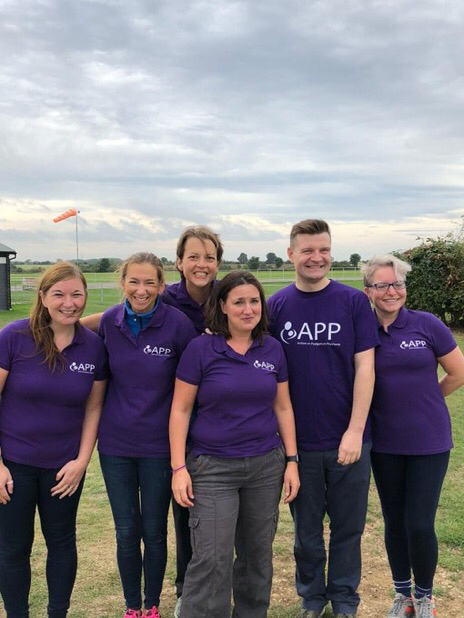 Everyone should do it... and raise money for APP of course...I've been blown away by the team total reaching almost £6,500. 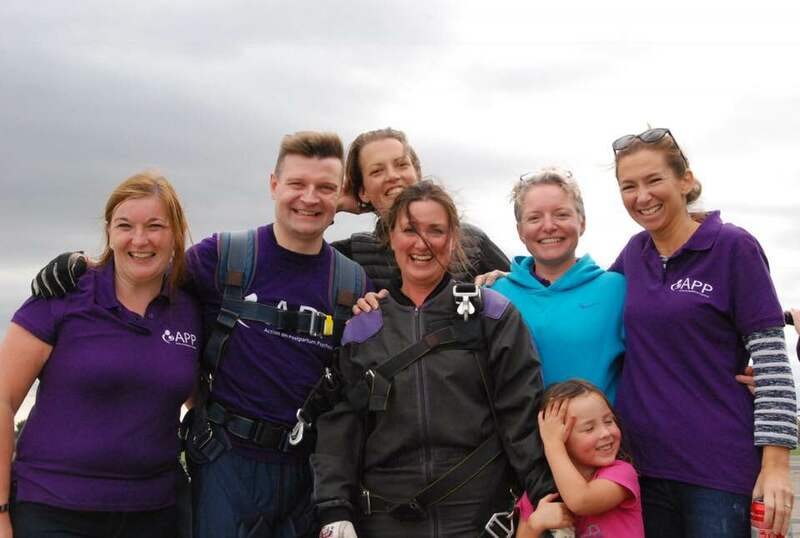 And all going towards info, peer support and ensuring that no mum or family goes through the terrifying illness that is postpartum psychosis alone." 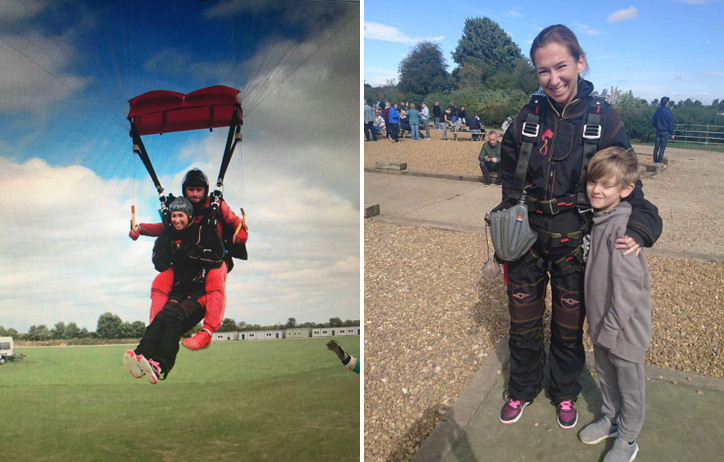 Hannah Bissett having an 'absolutely amazingly awesome' experience! ...and a happy welcoming landing! 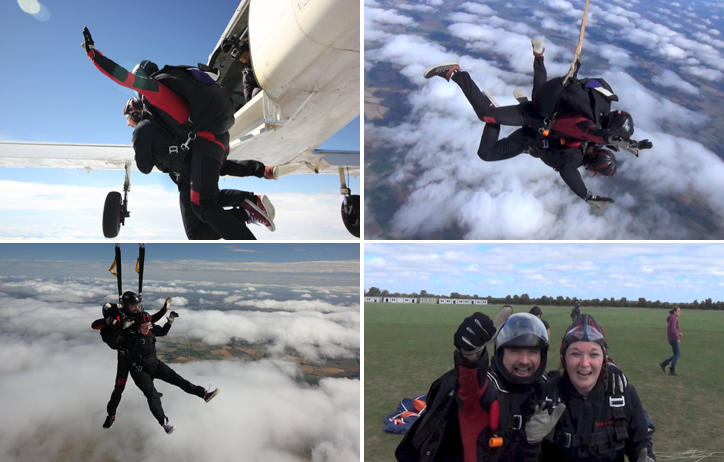 Thank you again to everyone who took part and jumped for APP. Your support will help us to continue developing our information and operating our peer support services. We really couldn't do this without you! Thank You all! 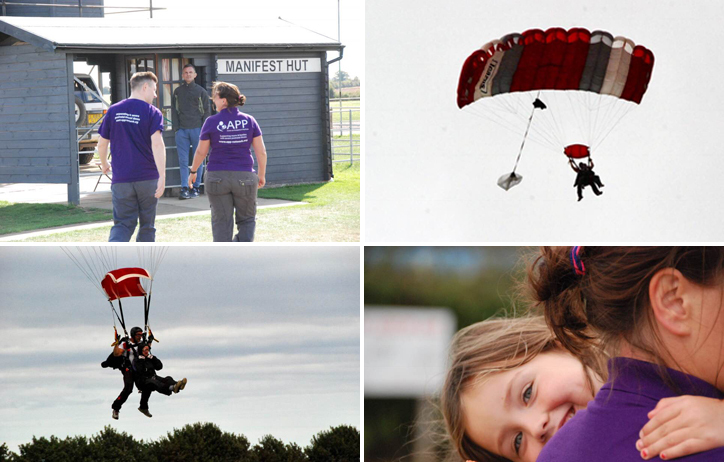 If you're interested in doing a skydive in aid of APP you can find out all about it here.